The Wikileaks release of hacked e-mails to and from John Podesta, chairman of Hillary Clinton’s presidential campaign, provides a unique view into the inner workings of modern electoral politics. As the nation’s largest labor union and an unrivaled force in shaping public education policy, the National Education Association might be expected to influence any Democratic candidate’s course in a presidential race. Instead, the e-mails reveal how willingly the NEA contorted itself to help Clinton. Top executives and staff appear to have gamed the union’s procedure for endorsing candidates, manipulating their local representatives and activists to secure a Clinton endorsement. The Clinton campaign has refused to authenticate the hacked e-mails. They are sincerely doing their best to manage the activists at the RA. It only takes 50 signatures to raise a resolution on the floor and I have been warned about a Northeastern Sanders contingent. I think it would be good to be organized on our own behalf with a few key folks in the room (NH and IA leaders) in case anything comes up. I am a little nervous about this event. That said, their steps are moving toward a October 2nd/3rd endorsement all going to plan. At this point NEA had yet to take any formal steps to determine who its rank-and-file membership, or even the heads of its affiliates, preferred for the Democratic nomination. On June 19, Budzinski warned colleagues of an impending endorsement of Bernie Sanders by NEA’s Vermont affiliate. NEA is concerned their VT affiliate could do a Tuesday (next week) recommendation of endorsement (with potential press release). This is not confirmed. The bigger concern is that RI and MA might go with VT as well… This doesn't pose serious concern for the NEA overall endorsement, its a [sic] optics problem headed into the RA. NH NEA is poised to endorse HRC, but so far that affiliate is the only one we know ready to go. Iowa is not there yet. I am working with Carrie Pugh on options to head this off. Carrie Pugh is NEA’s political director. Publicly, the union was still undecided — it hadn’t even ascertained the candidates’ stances on education, collective bargaining and others subject of interest to members. That wasn’t exactly accurate, since there was no agenda item that banned early endorsements, but the intent of NBI 79 was explicit: the union would talk to all candidates prior to considering an endorsement. In other words, NEA was violating the NBI even as it was being passed. Between August 6 and 12 the union conducted a telephone survey of 2,000 members to determine whom they supported for the nomination. Clinton was supported by 46 percent of respondents. Bernie Sanders received 22 percent support, and Joe Biden 10 percent. The remainder chose others or expressed no preference. NEA proceeded to demonstrate that it could lobby its own people just as aggressively as it does Congress and the Department of Education. On September 10, 2015, NEA Executive Director John Stocks wrote directly to Podesta. “We are in a full court press with our affiliates regarding the Hillary recommendation,” he wrote. I have spent the last two afternoons and evenings on one-on-one calls with our 52 state executive directors and Lily [Eskelsen-Garcia, the NEA president] has called all state presidents and is skyping into state affiliate leadership meetings. We are getting hard counts of the NEA PAC (state presidents) and the 6 members of our Executive Committee are calling our 180+ NEA Board members. I am traveling to Wisconsin board meeting this weekend, then New Jersey and Pennsylvania boards next weekend. Our VP is headed to Maryland board. We have solid support in many of our states but we have some big ones outstanding. California, our largest affiliate, is still a wild card. Lily is barnstorming the south on a back to school tour, talking with state presidents and other leaders and skyping into other states while on the road. Truth be told we are encountering timidity around going “early” which we are confronting head on. File those two states away for a minute. Few directors were allowed to ask questions and only if those questions had been submitted in advance. 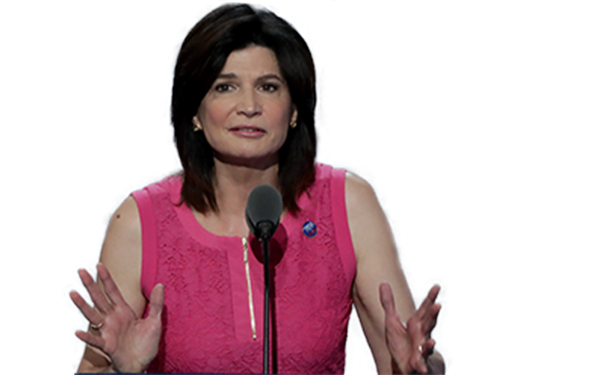 Rumors began to spread that NEA would vote on endorsing Clinton the first weekend of October. The first hurdle was the PAC Council, consisting primarily of state affiliate presidents, whose votes are weighted by how much their state contributes to NEA’s political action committee. A simple majority of these votes is enough to recommend endorsement. The vote was taken, and 82 percent were reported as in favor. But remember California and New Jersey, NEA’s two largest state affiliates, both targeted for “high-level outreach”? They abstained. This had the dual effect of inflating Clinton’s margin and avoiding internal conflict over the endorsement vote within those affiliates. The NEA board of directors’ vote was next; for the endorsement to pass, 58 percent of the 180-member body had to approve. Taking no chances, NEA leaders arranged a last-minute “town hall” visit from Clinton on the day of the vote. WikiLeaks now has a full transcript of her appearance, but you can read the exclusive highlights I published two weeks later. Having observed all the formalities, the board voted 118–39 in favor of the endorsement, with 8 abstentions, easily clearing the 58 percent hurdle. There is some risk though that you show up and they remain uncertain of a successful vote so that they put it off for further work by the leadership. They will not call the vote unless they are certain that they will hit the threshold. Downside is that the Sanders people will spin that notwithstanding the PAC Committee recommendation, the Board delayed action. All here assess that it’s worth the risk and that you should show up and try to get the endorsement now. If the vote is delayed, Lily and John will say this is a multi-layered process and good progress was made by securing the PAC Committee recommendation. The endorsement battle was over, but the union knew it still faced difficulties with its members on the ground, most of whom knew nothing about the vote until after it was over. It issued talking points for leaders to use when confronted about the issue.